The Bticino range is adapted to suit the Swedish market, with excellent fit in Swedish mounting boxes (1-4 compartment). We offer a full product range for their Axolute and Living Light series. 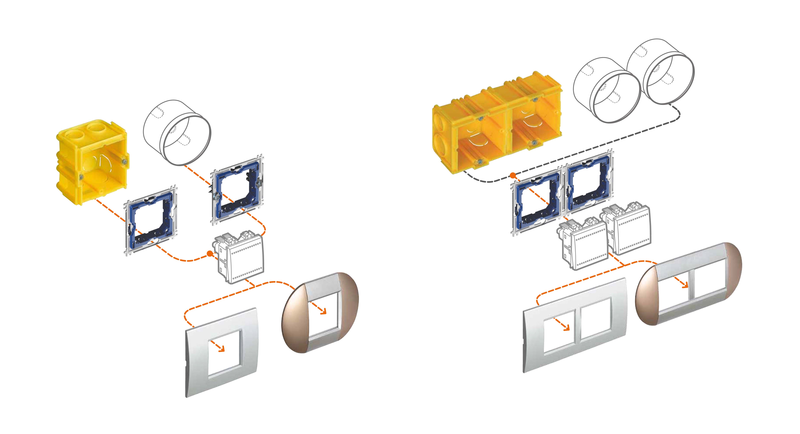 The system is modular – each 1-compartment frame has room for two modules (1+1M or 2M). This makes it possible to customise combinations, such as a data socket next to a tele socket, or a switch next to a momentary pushbutton. See the examples below.